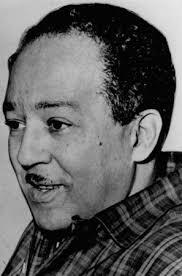 Researching Langston Hughes gave me a chance to look at his work in a different way. Not just to enjoy his poetry, but to read his work while placing it in context of his background. So much of his life is revealed in his poetry. I feel slighted that I didn’t have a chance to meet him in person. It does give me chance to introduce him to new audiences and re-introduce him to his legends of fans. The Brown Bookshelf is proud to honor Langston Hughes on Day 7 of 28 Days Later 2015. As a child, Langston did not always live with his mother. But during the times that he did, she profoundly affected him. He relates in his autobiography, The Big Sea that his mother often took him to the vine-covered library on the grounds of the capital in Topeka, Kansas. That is where he fell in love with librarians because they helped him find wonderful books. He remembered the big chairs and the long tables. And the library seemed to be mortgage free—unlike his grandmother’s home. Langston’s literary interests stretched from westerns like the Riders of the Purple Sage by Zane Grey to love stories such as Mistress of Shenstone by Florence L. Barclay which he borrowed from his mother’s bookshelf. He barely saw his father who lived in Mexico. After Langston decided not to continue his college education, he never heard from his father again. Langston worked in flower shop, on a ship, and wrote poetry. Some were published in the Crisis, the official magazine of the NAACP. He was a man of the Harlem Renaissance, the period in the 1920s when Harlem exploded with black art, music, and literature. Langston took it all in. He frequented jazz and blues clubs where the music entered his soul and excited into poetry like “Thump, thump, thump, went his foot on the floor. 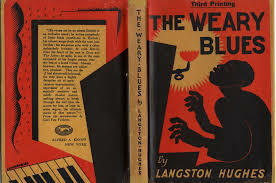 He played a few chords then sang some more . . .” from the poetry collection, Weary Blues. He continued to write poems and also plays, screen plays, and short stories. He work always celebrated the life of everyday black people. Author and historian, Michael Eric Owens said, “He was unapologetic, passionate, and an advocate of Black culture.” He was generous with his time and talent, often helping to promote other artists. He was a traveler. Langstone traveled to any countries including, Russia, Japan, China, Frnce, and Haiti. But he always returned to Harlem. 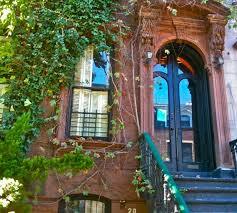 He bought a house at 20 East 127th Street, Harlem, NY. It is listed on the National Register of Historic Places. 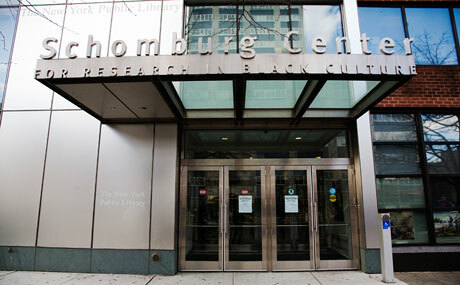 Langston died on May 22, 1967 and his ashes are buried beneath the Langston Hughes Atrium of the Arthur Schomburg Center for Research in Black Culture in Harlem. 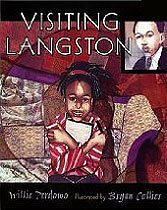 A book to share with young readers is Visiting Langston written my Willie Perdomo and illustrated by Bryan Collier. You can read more 28 Days Later about Willie and Bryan. • American Academy of Arts and Letters. A letter Langston wrote in 1944 protessing how black children were portrayed in literature. I loved what I discovered about this poet and thinker after high school – always good to be reminded of him.